Dubai, UAE, August 13, 2018: To support the victims of one of the worst floods that Kerala has seen in recent history, displacing more than 54000 people, Aster Disaster Support Team has been mobilized to provide humanitarian aid. 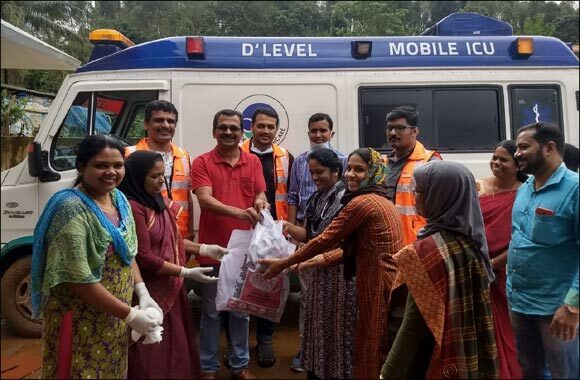 Consisting of more than 200 medical and non-medical volunteers from Aster DM Healthcare’s network of hospitals in India and led by Aster Volunteers Global Programme, the Aster Disaster Support Team has started working with local government relief centres in Wayanad, Ernakulam, Calicut, Malappuram districts to conduct medical camps, provide health check-ups and essential materials for sustenance. The pledged amount of Rs. 50 Lakhs or AED 265,000 will further strengthen the local government’s efforts to help those affected by the floods.